MONTHLY photos contributed by our members for April - 2018. A Common Loon has been at a pond just down the road from my house for 2 days now - first seen on the 4th. 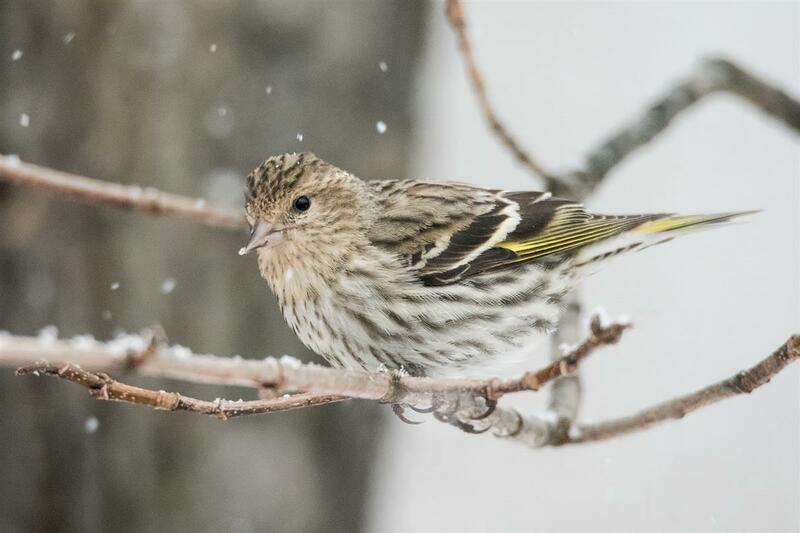 Two Pine Siskins made a stop at our feeders in Orchard Park today, on the 6th. It's been quite awhile since we've had them here, so it was a great treat! 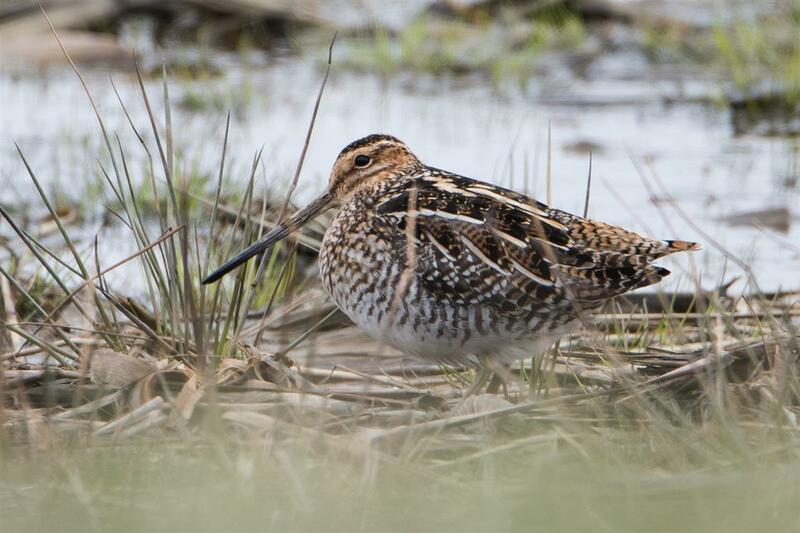 A couple of Wilson's Snipe seen in the southtowns on the 6th. 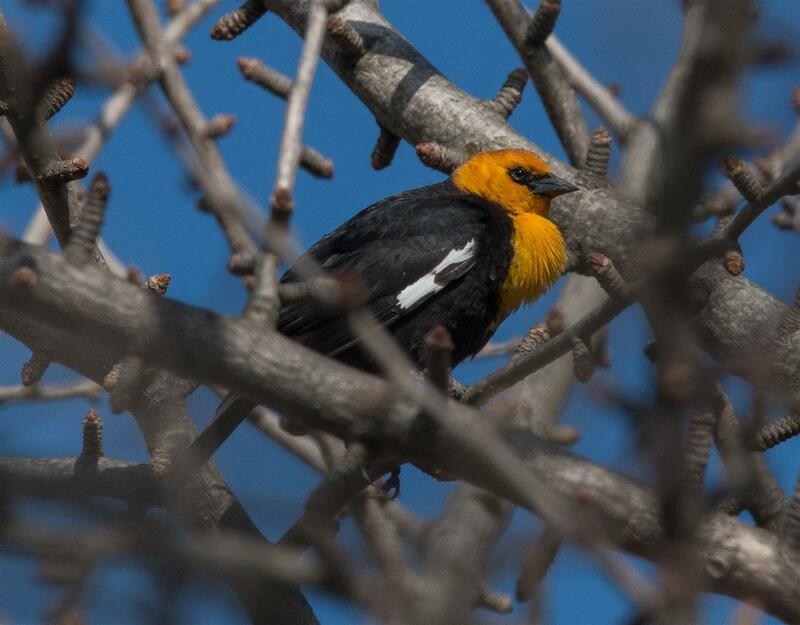 A male Yellow-headed Blackbird was a surprise visitor at my feeding station in Appleton, Niagara County. 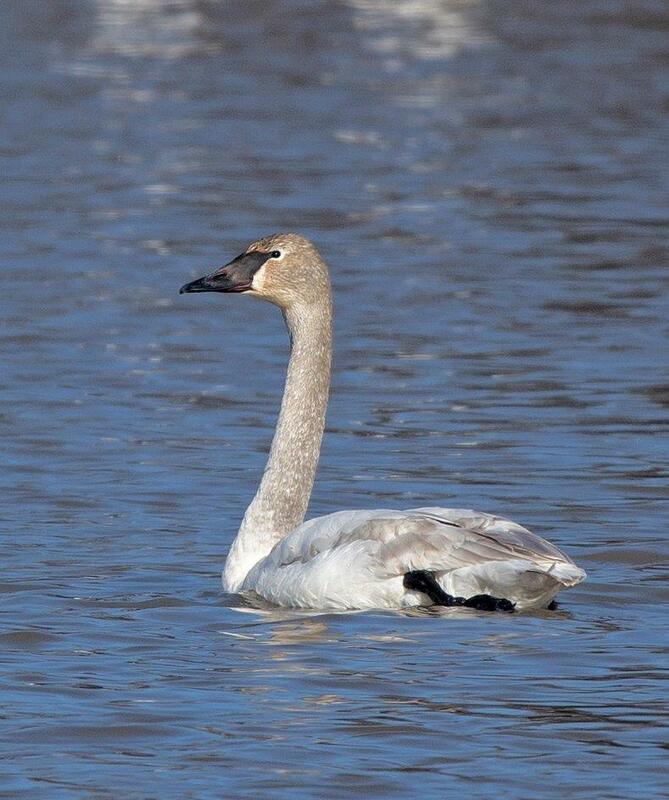 Willie D'anna and Betsy Potter found this Trumpeter Swan in Wilson Harbor of the 8th. 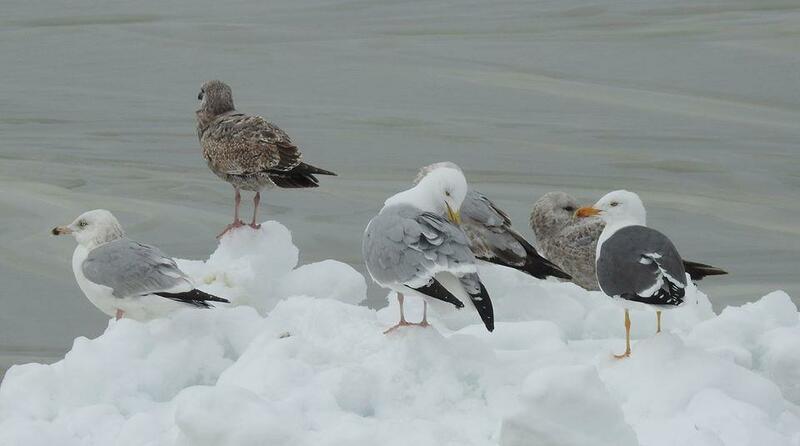 On the 6th, Shelley Seidman photographed this adult Lesser Black-backed Gull at Erie Basin Marina. 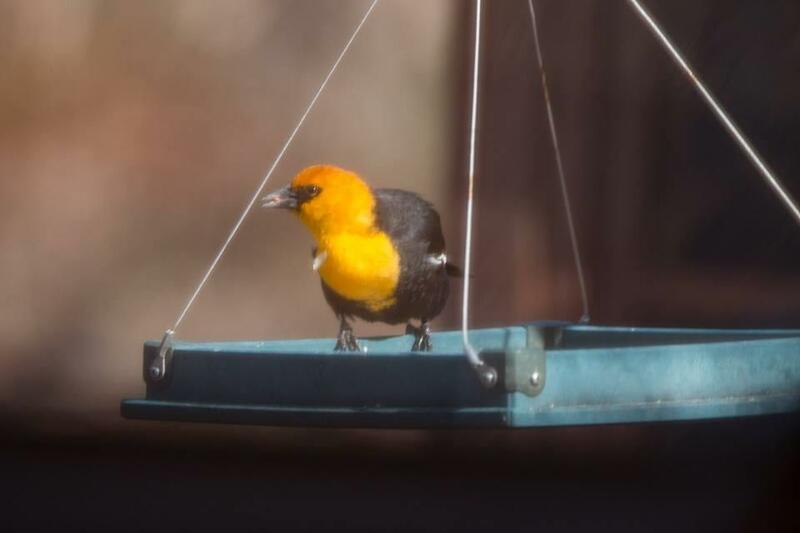 Joel String had a nice surprise when this Yellow-headed Blackbird showed up at his feeders in Appleton, NY on the 10th. 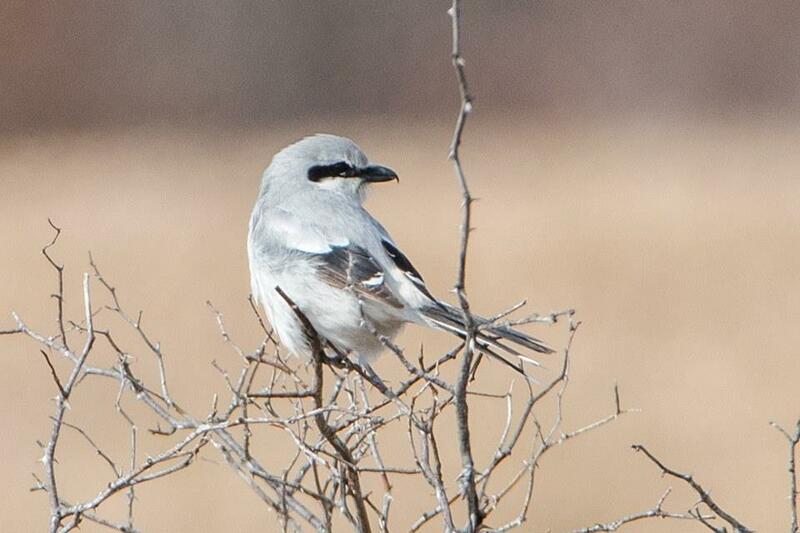 Tom Kerr found this Northern Shrike near Beaver Meadow in Java, NY on the 7th. 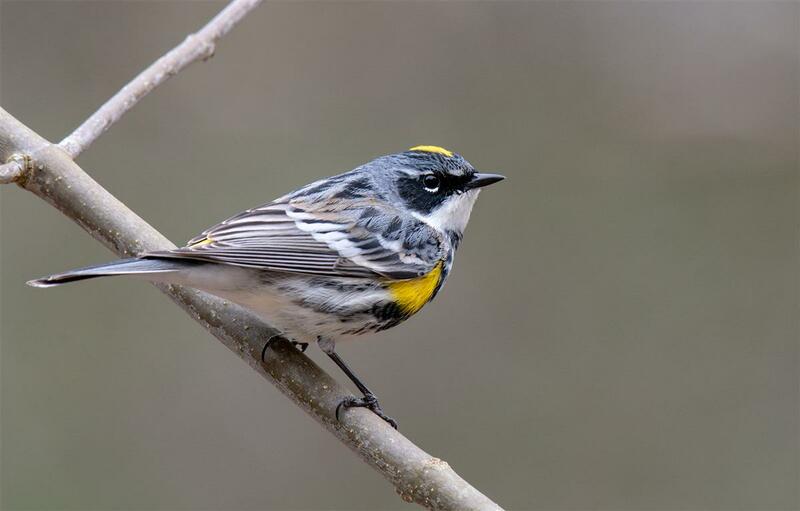 This is getting late for this species in our region. 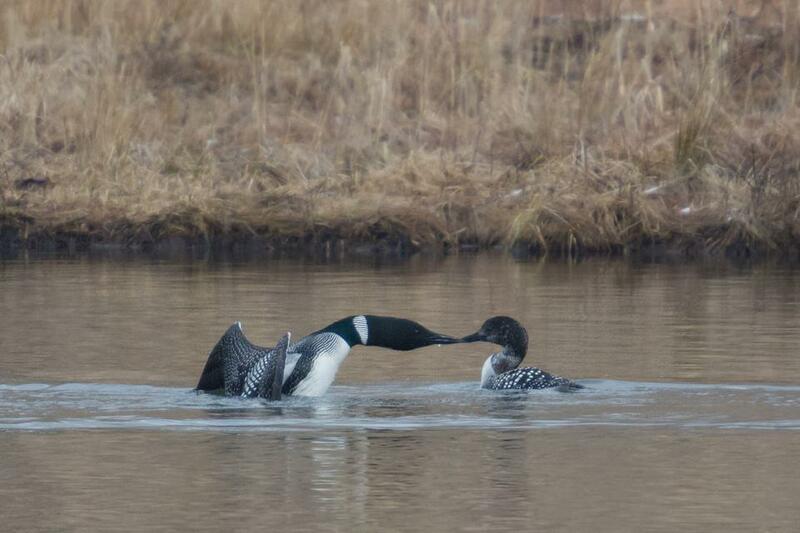 Sakura Sealcat captured this image of courting Common Loons at Reinstein Woods, Cheektowaga, NY on the 10th. 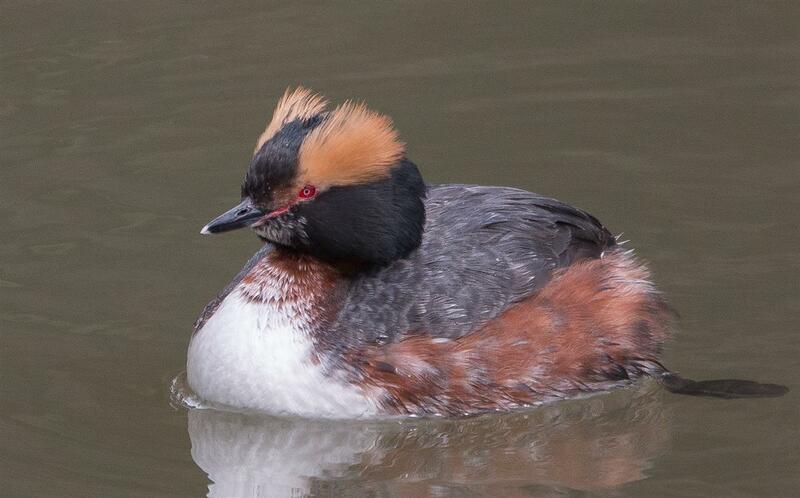 The region has seen an impressive fallout of COLO and Horned Grebes over the past week. 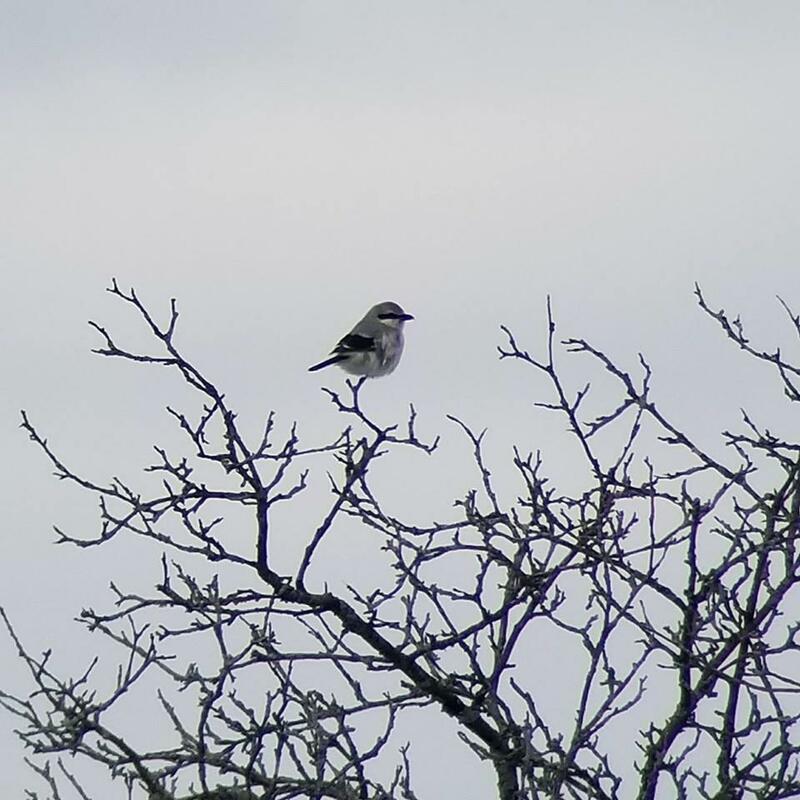 Originally found by Tom Kerr on the 7th, this Northern Shrike was photographed by Sue Barth on the 11th, still near Beaver Meadow, Java, NY. 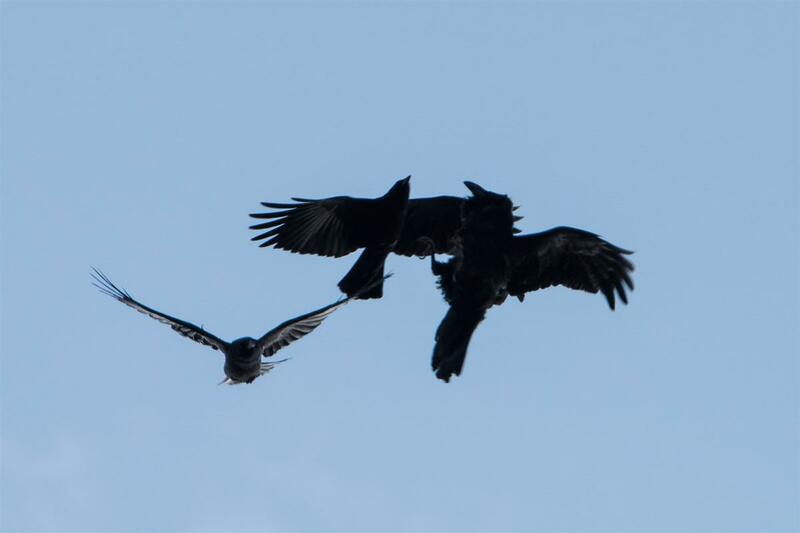 One of a pair of Common Ravens was being harassed by a couple of American Crows at Emery Park on the 10th. The presence of a pair there is hopeful they'll be nesting in the park (if the crows allow it!). 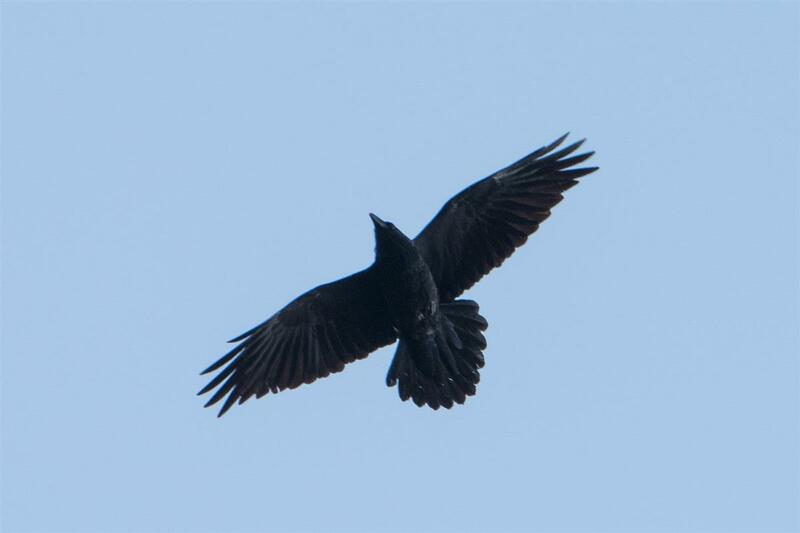 One of the Common Ravens. 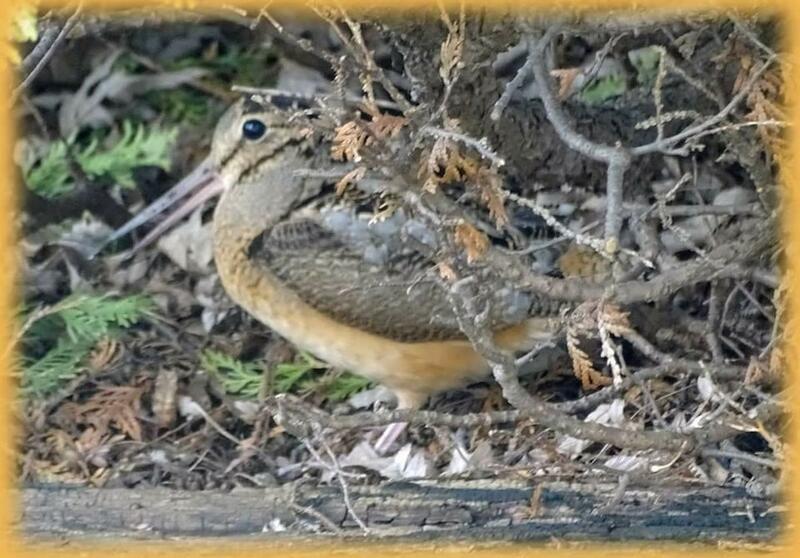 I have an audio of it croaking in my eBird checklist if you want to have a listen: https://ebird.org/view/checklist/S44448946. 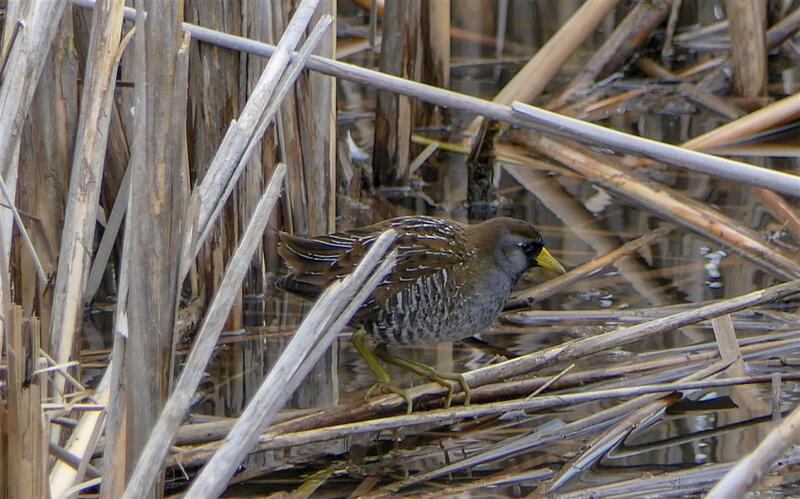 Sora seen at the Berry Rd. Marsh in Fredonia on April 12th (Chautauqua County). 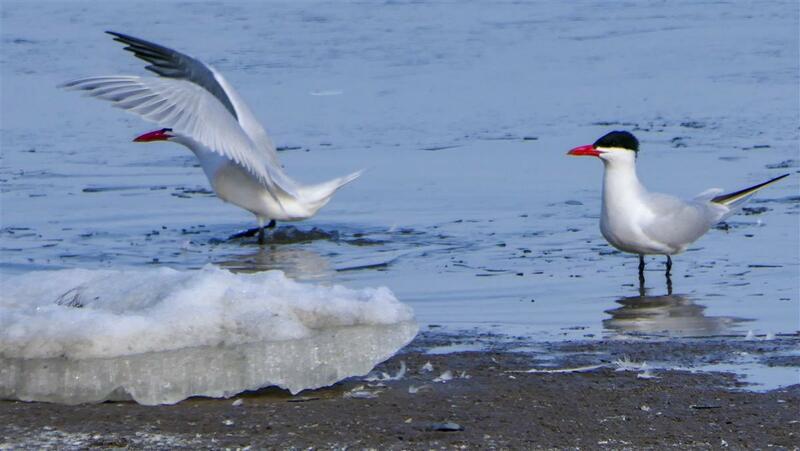 Caspian Terns in the Dunkirk Harbor on April 11th. An unexpected backyard visitor near Sheridan and Delaware Avenue in Tonawanda. 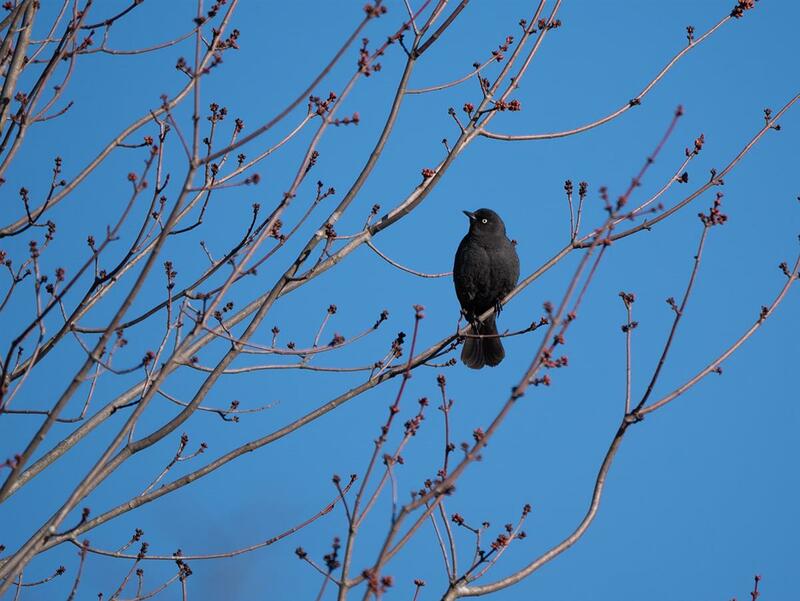 Paula Giambrone-Kerr photographed this bird in her yard on the 12th. 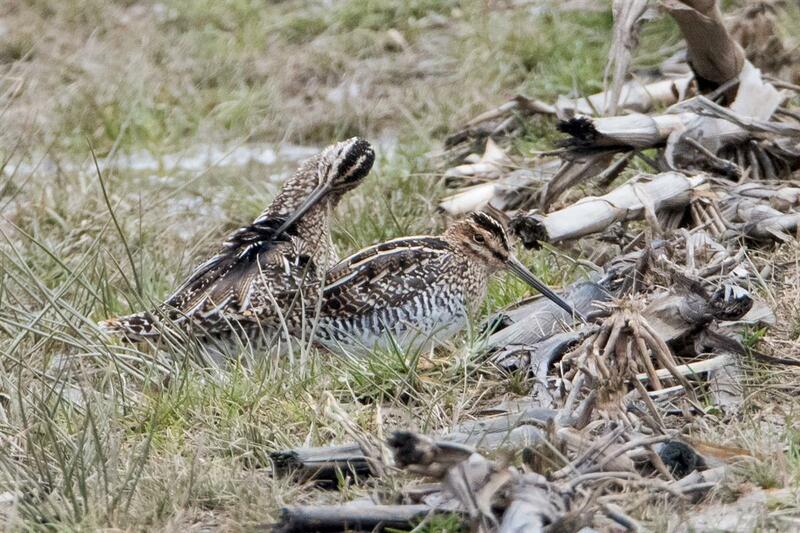 Three Wilson's Snipe were inconspicuously resting alongside a drainage ditch in the south towns on the 14th. This was the most visible of the three. 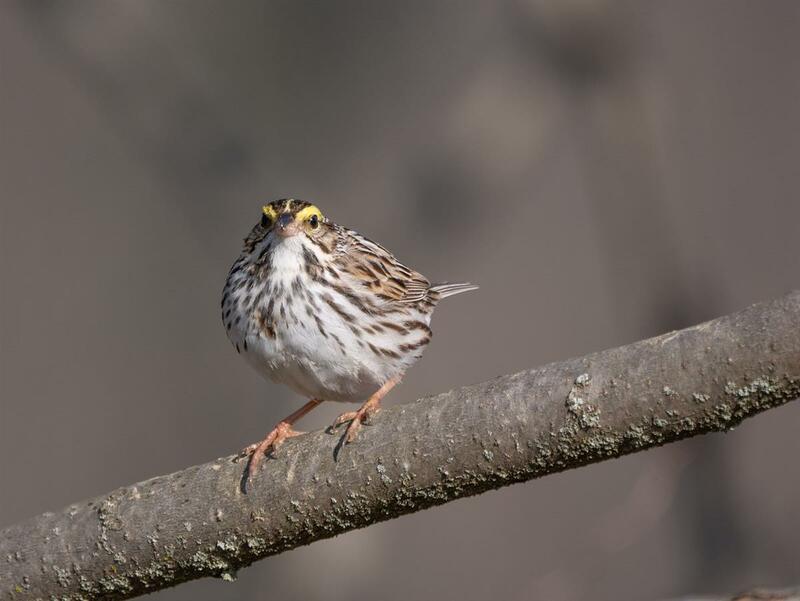 Three Vesper's Sparrows were gritting along a roadside in the town of Evans on the 14th - just prior to a big ice storm in high winds. 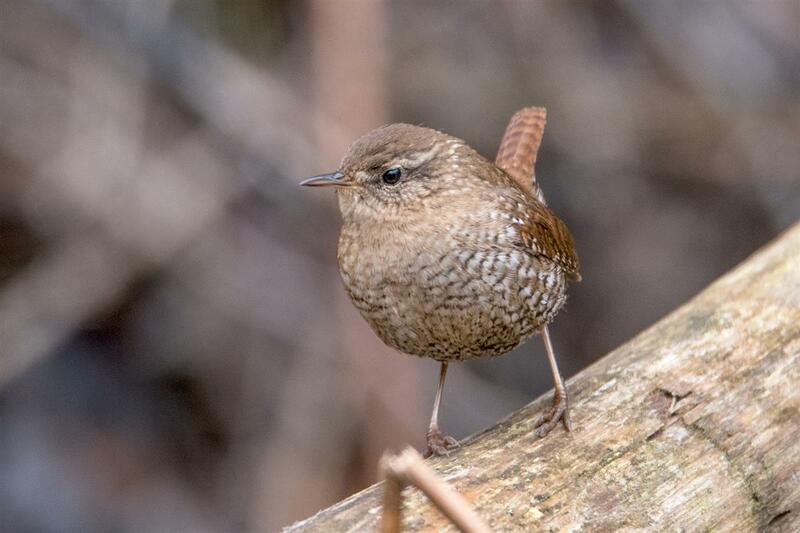 This friendly, little Winter Wren kept singing his incredible song as he pranced about a wood pile. The Great Loon Fallout of 2018! 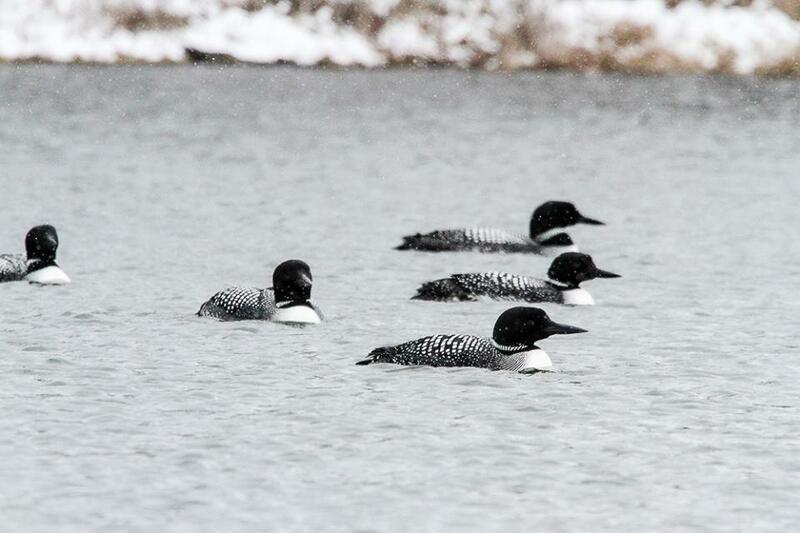 Brittany Rowan photographed this group at Reinstein Woods on the 17th. Other concentrations included an amazing 70 in the Small Boat Harbor, 66 at UB North Campus and 18 at Reinstein Woods. 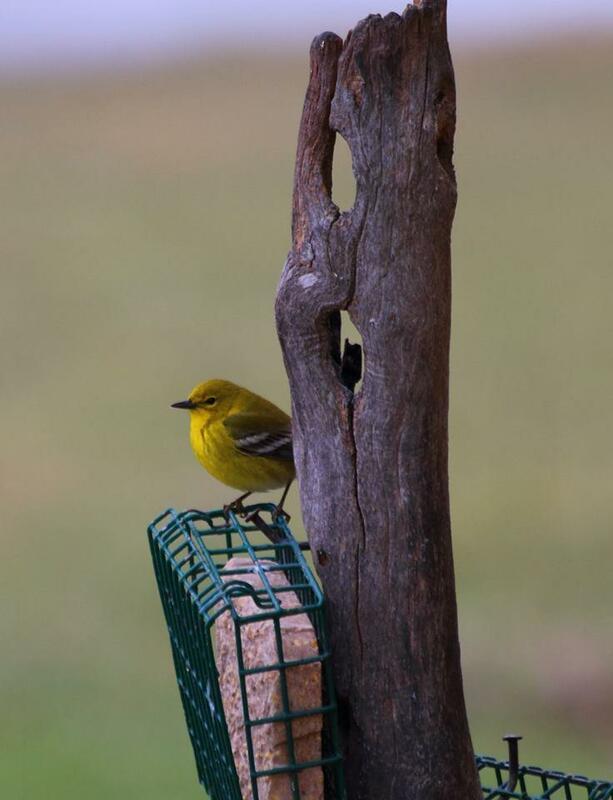 At his feeder in Hartland, NY, Jason West captured an image of this Pine Warbler on the 17th at his suet feeder. 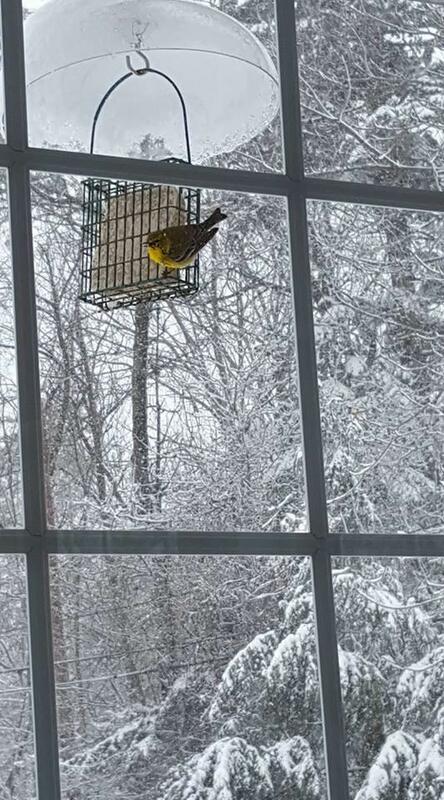 Cold temperatures, wind and frozen precip pushed many birds to area feeders. 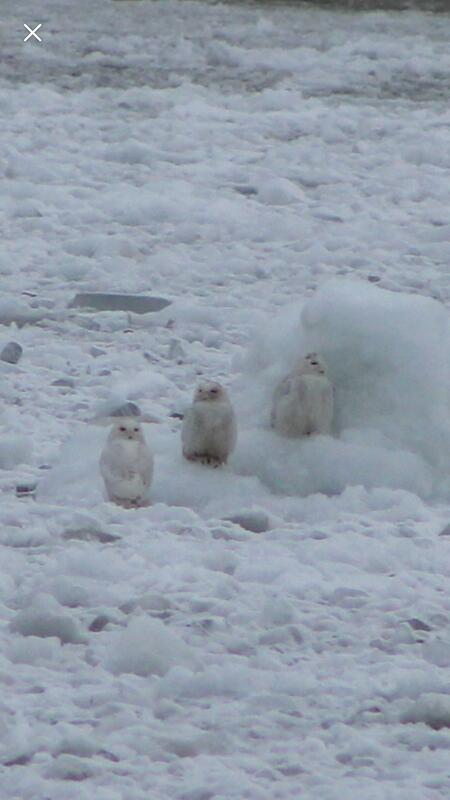 On the evening of the 16th, Ketry reported 11 Snowy Owls on ice floes pushed into Gallagher Beach harbor by the strong W winds. The next evening Yoerg counted a staggering 22 Snowy Owls in the area no doubt concentrated by the cold, windy and snowy weather. Photo by Kevin Rybczynski. Jesse Tharp was fortunate to cross paths with this gorgeous female Red-necked Phalarope off the foot of Ferry Street, Grand Island on the 17th. 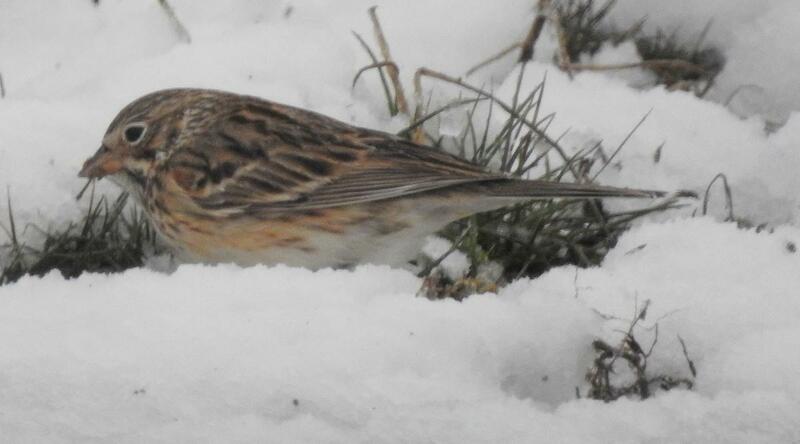 A highly unusual spring record and another fallout bird due to the wintry weather. 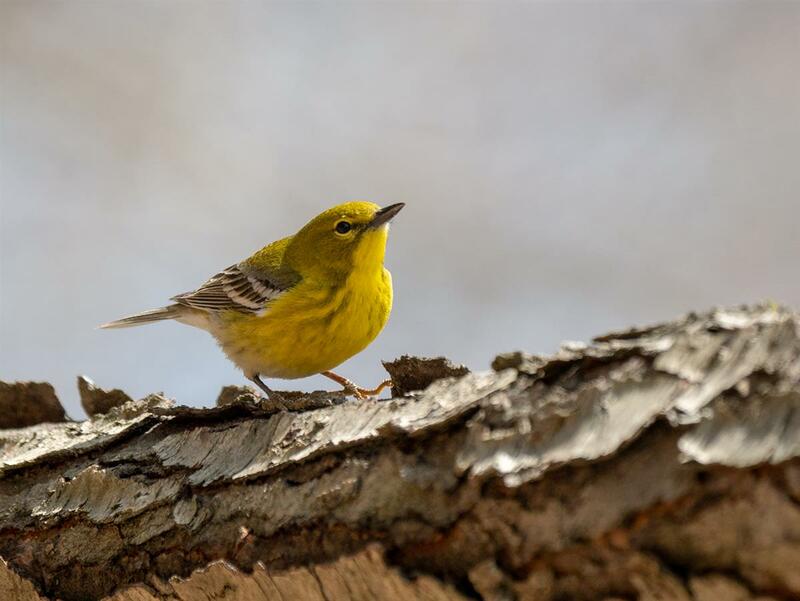 BOS members Wendy and Mike Zebehazy recorded this Pine Warbler at their Orchard Park suet feeder on the 17th during the Great April Fallout of 2018! 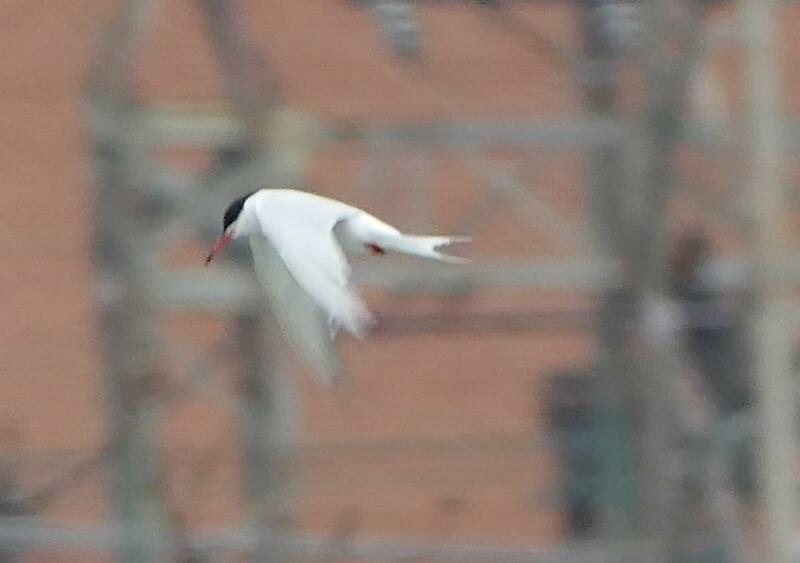 This Forster's Tern, another gift of the Great April Fallout of 2018, was found by Gale VerHague on the 16th at Dunkirk Harbor. 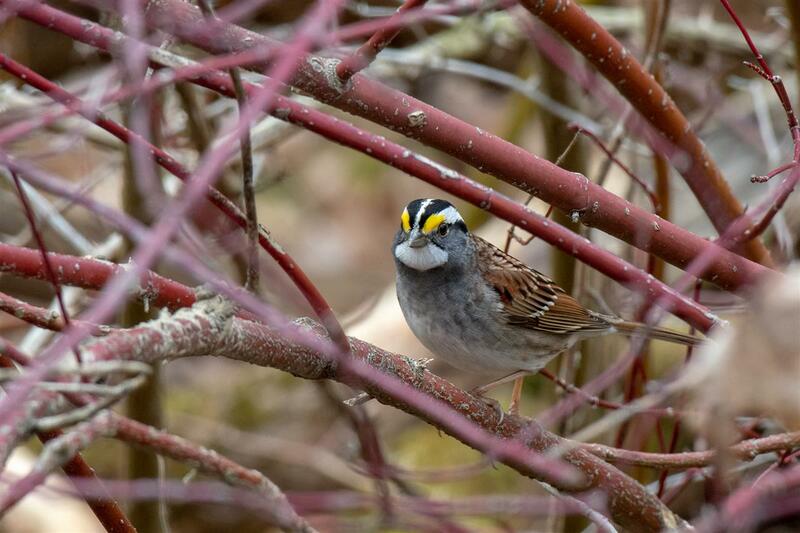 For two days (16-17 April), 4 Vesper Sparrows entertained birders at the Union Ship Canal (just south of Tifft). 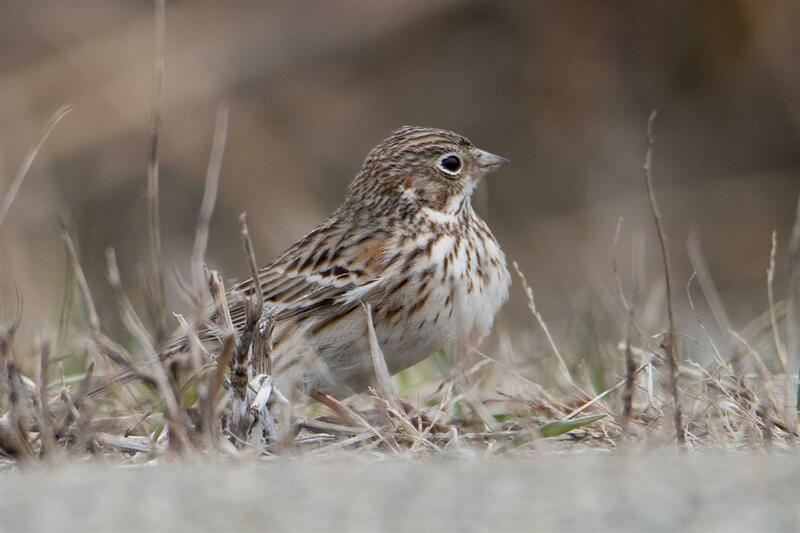 These birds were first reported by Ketry and Seidman (photograph) after they had found 11 Snowy Owls! 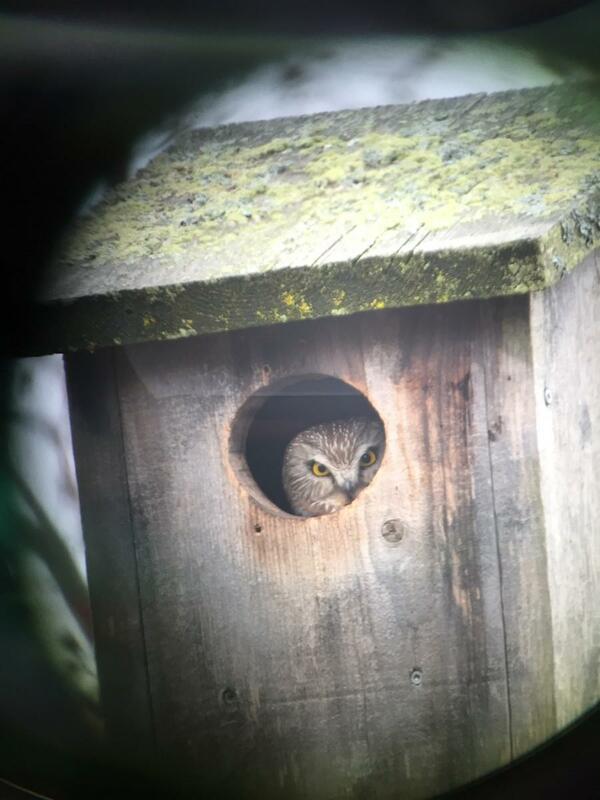 On private property in Fort Erie, Ontario, a pair of Saw-whet Owls seem to be setting up a home for their young ones. This is a highly unusual occurrence within the BOS study region. I'll add updates as they become available. 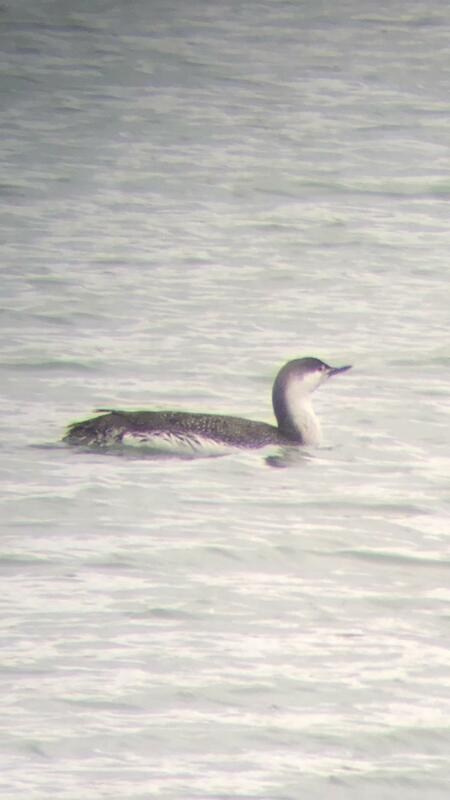 Very unusual inland was this Red-throated Loon found by Joe Fell on the 18th at Lake LaSalle on the UB North Campus. 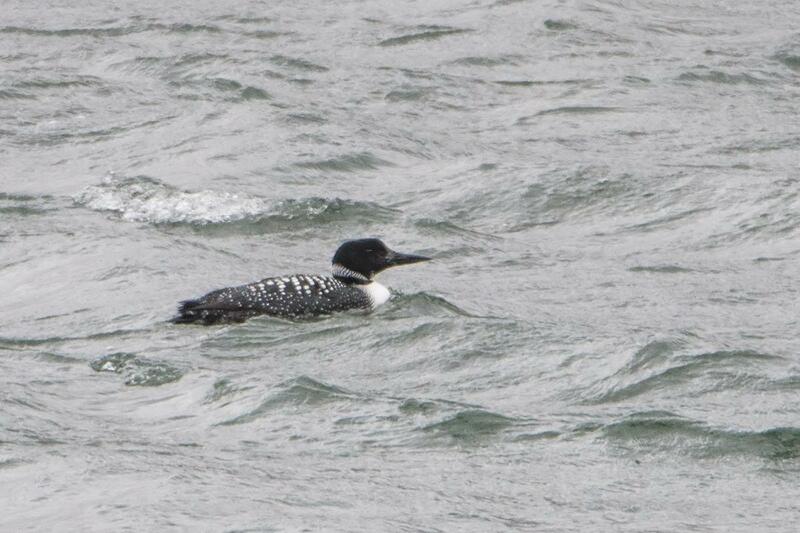 The loon fallout continues today with 74 Common Loons with this bird at UB! Photo by Kevin Rybczynski. Ketry and Seidman found this group of 6 Cackling Geese on the 18th near Chaffee Farms, Niagara County. Notice the short necks, 'pushed-in' bill appearance and grayish cast to the body as compared to the lone Canada Goose on the right. 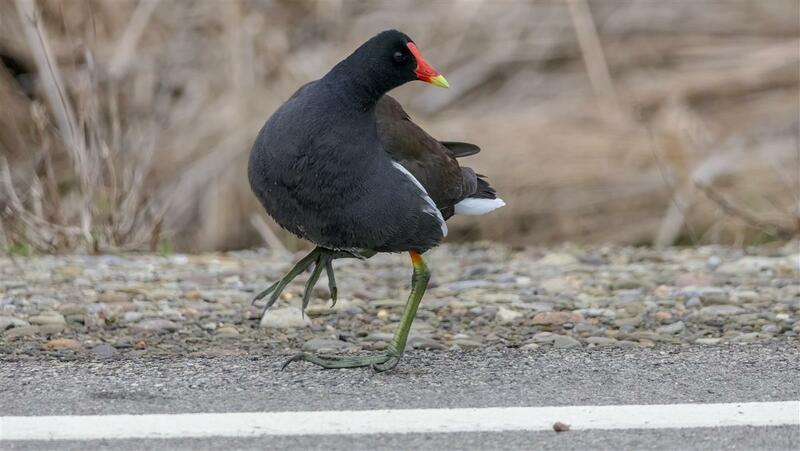 Common Gallinule seen crossing the road at the Berry Rd. Marsh in Fredonia on April 19th. 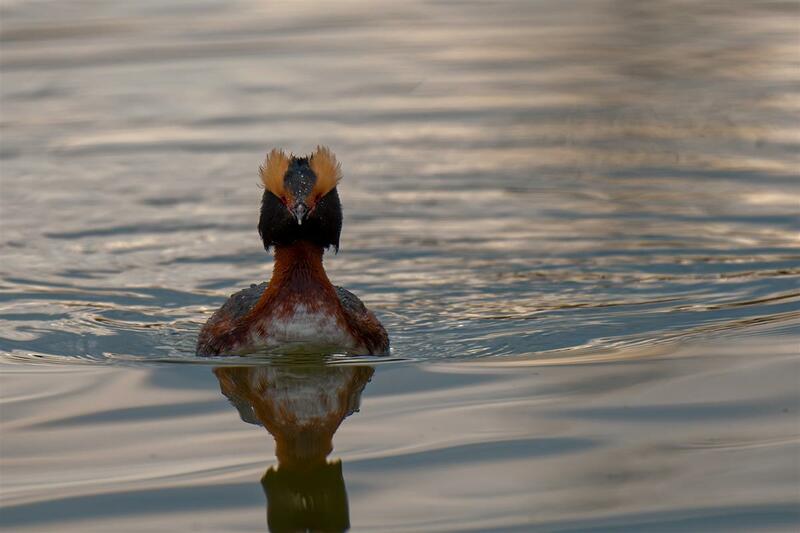 Horned Grebe on 4/19/2018 at Mirror Lake in Forest Lawn Cemetery. 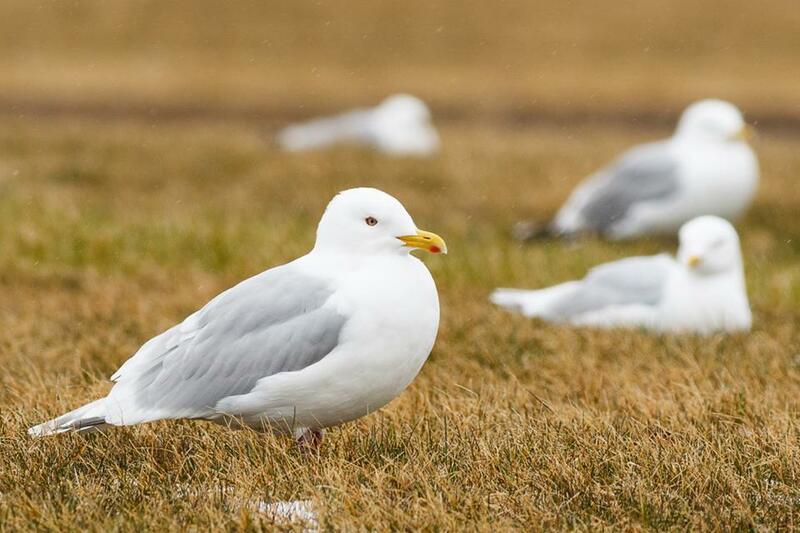 The inclement weather on the 16th grounded several Iceland Gulls in Thorold, Ontario. 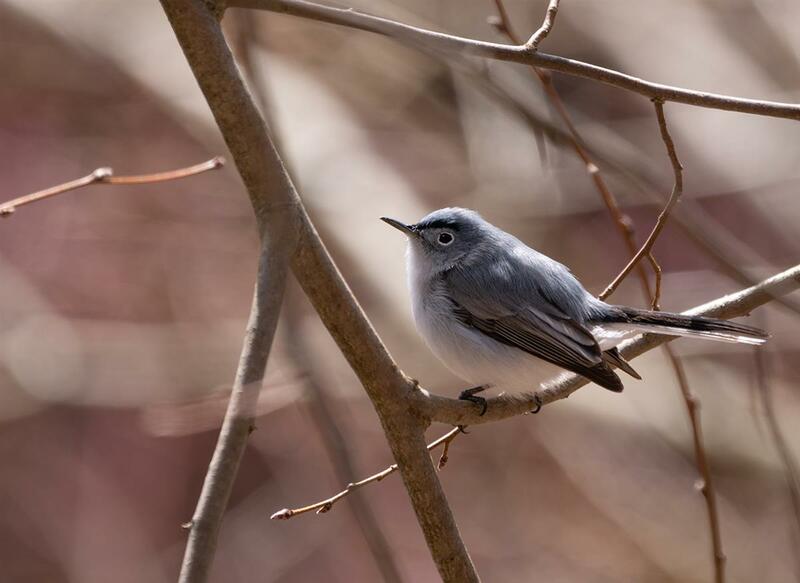 Here is an adult photographed by Ryan Griffiths. 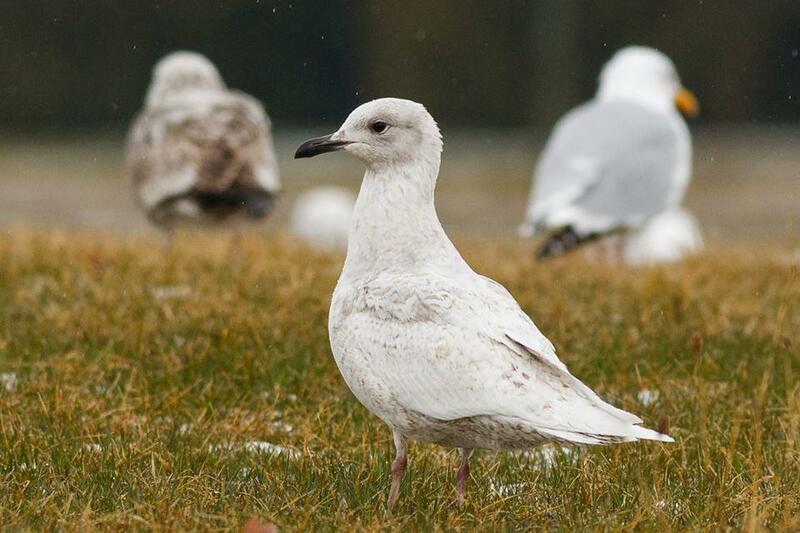 This 2nd year Iceland Gull was photographed by Ryan Griffiths on the 16th in Thorold, Ontario. 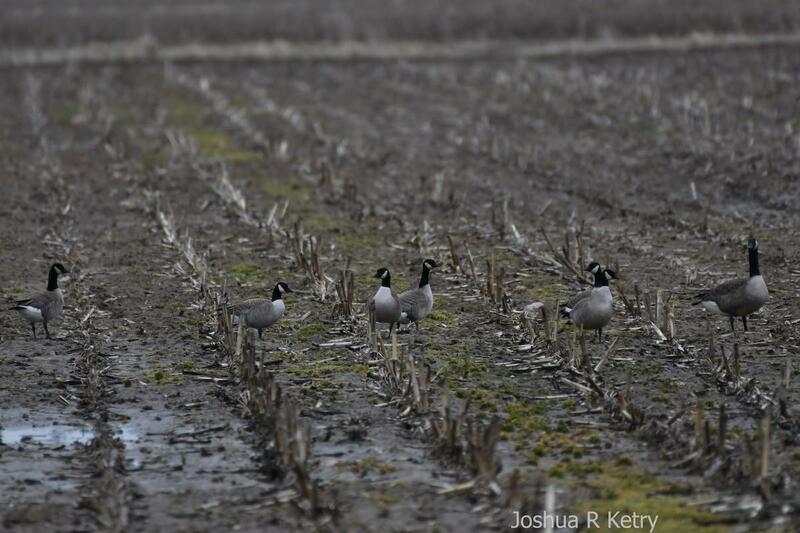 The snow, wind and ice that blasted our area for days was probably responsible for the grounding of several individuals of this species. 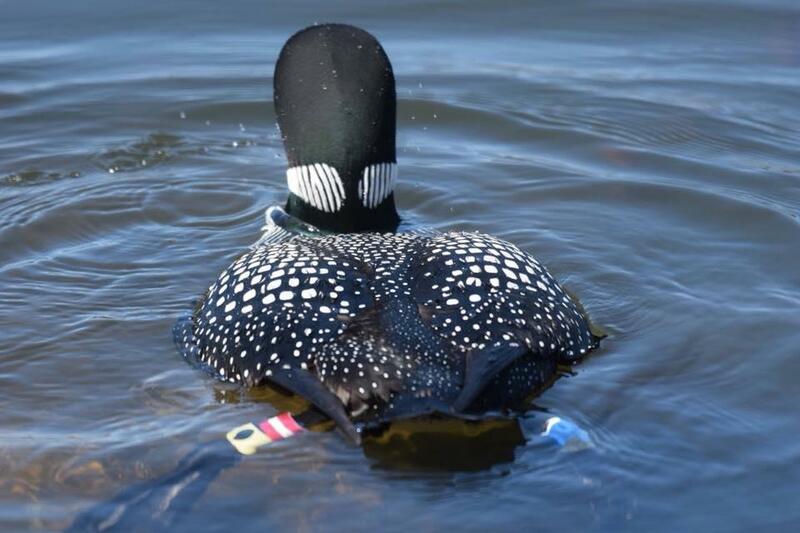 This loon has a story! One of hundreds of COLO grounded during our mid-month snow and ice storm, this individual dropped onto Flattail Lake at Reinstein Woods. 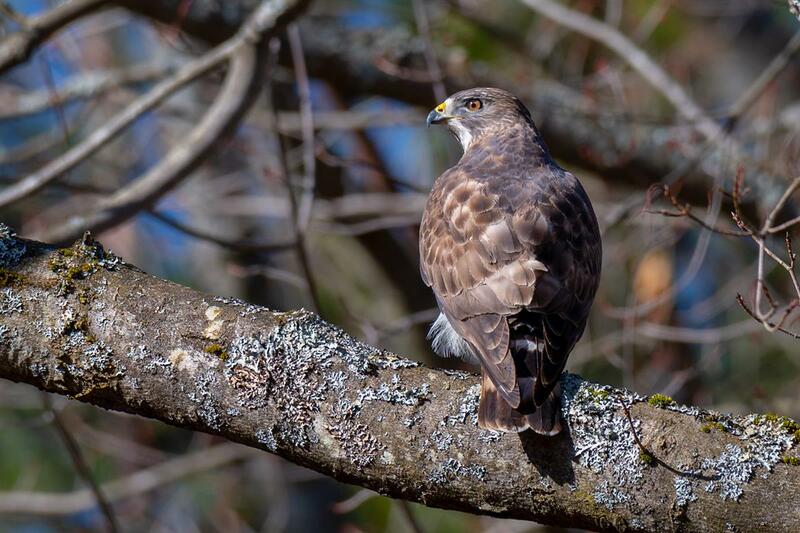 Michael Beebe and Paul Bigelow captured several images of this bird and found it was a female banded in 2006 at Tomahawk Lake, Wisconsin! Photo by Beebe on the 22nd. 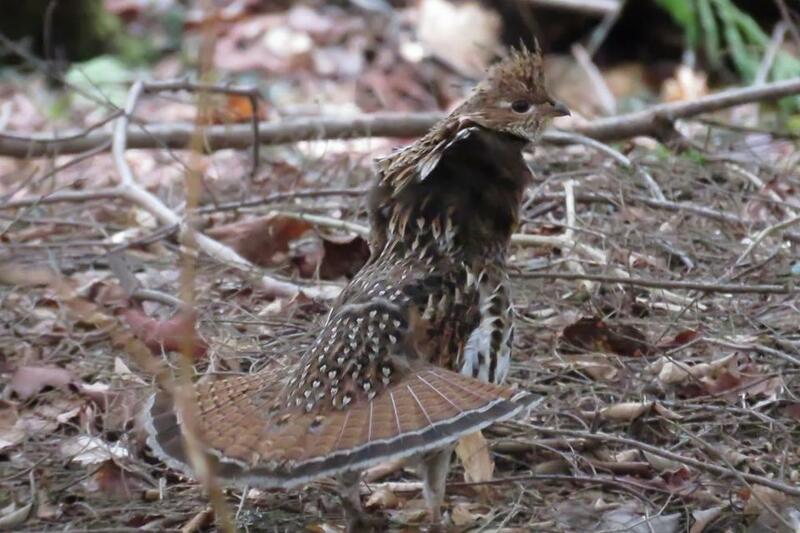 This Ruffed Grouse was displaying roadside in Allegany SP on the 25th - one of the main strongholds for the species in our region. Photo by Kyle Brock. 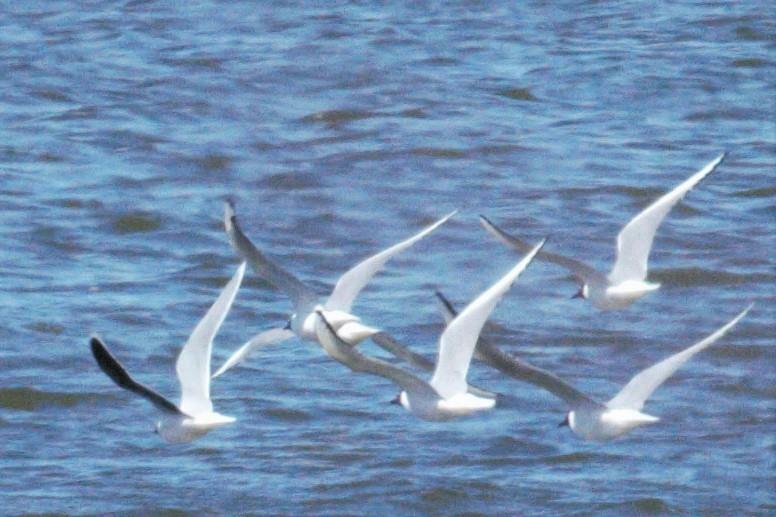 An exciting find at Tifft Nature Preserve on the 24th was this Little Gull within a flock of Bonaparte's. Photo by Edward Cooper.